The Smile of the Beyond is located on Parsons Boulevard in Queens, NY and is dedicated to serving delicious breakfasts, lunches and brunch. We’ll fill you up and put a smile on your face. Reviews on Untapped Cities, Yelp and more! The Smile of the Beyond opened it’s doors in 1972 thanks to the inspiration of spiritual leader and peace activist Sri Chinmoy. 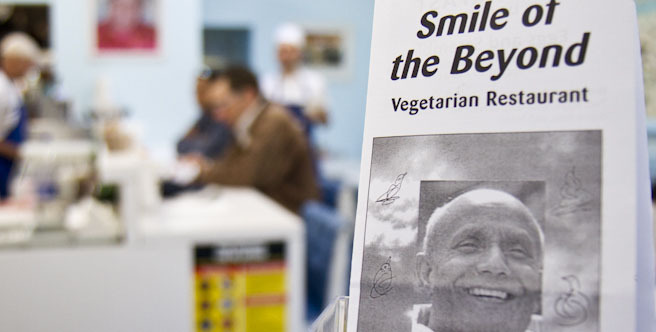 The Smile is the oldest vegetarian diner in New York City. We happily serve delicious gourmet vegetarian food. "A vegetarian diner specializing in the simple joy of breakfast and lunch." Popular menu items include our Mediterranean Omlette, our Steakburger, our Huevos Rancheros, our Breakfast Special and, of course, our Fresh-Squeezed Juices and Made-to-Order Smoothies. 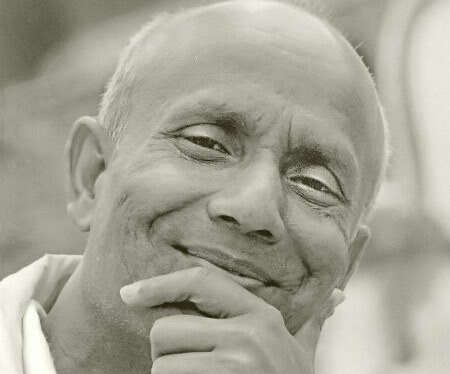 Sri Chinmoy, the noted spiritual leader, philosopher and fitness advocate, gave the name and the inspiration for this restaurant when it was opened in 1972.